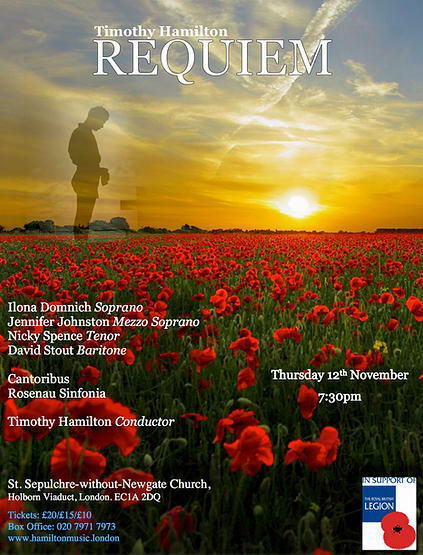 Last night I took part in the first full performance of Timothy Hamilton’s Requiem. The concert, which included many pieces of familiar choral music in the first half, was given at the church of St. Sepulchre-without-Newgate near the Old Bailey. Timothy conducted and I was singing with his specially convened choir, Cantoribus. This entry was posted in Uncategorized on November 13, 2015 by CheyneyK.